Quinns: Cripes! Have you seen the news?! The government’s using the internet to spy on our most secret Facemails and Googlings. Don’t worry, though. 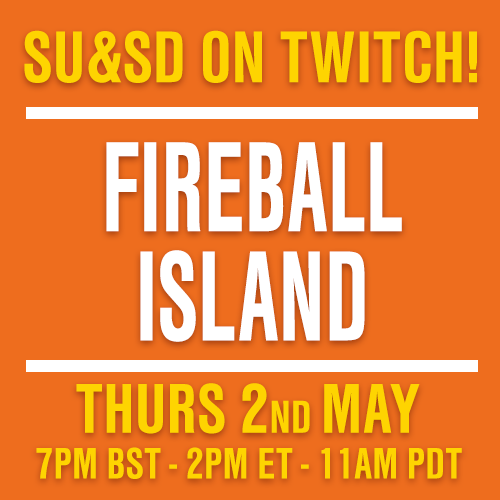 SU&SD’s weekly games news is only ever good news, covering the hottest new inanimate objects that will never violate your trust. Cthulu Wars might be the most gorgeous board game we’ve ever seen. Those miniatures are HUGE. …and yet! And yet. As with most ultra-glossy Kickstarters, I’m left feeling as wary as a paranormal investigator, wandering the lair of some unknowable beast. 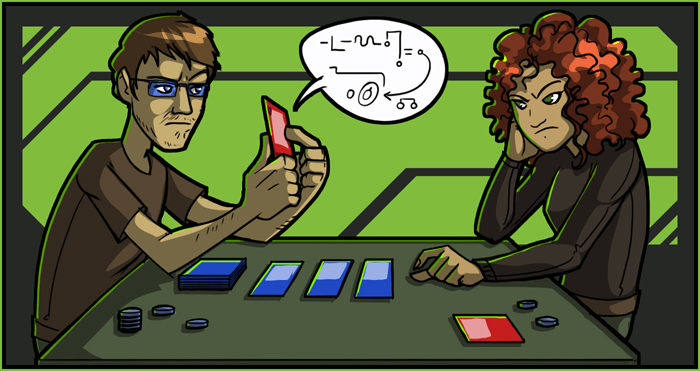 The designers behind Cthulhu Wars are all grizzled games industry veterans, but they don’t seem to have any great board games to their name. Hmm. If you prefer your apocalypses a little more down-to-earth, a reprint of 2004’s The Downfall of Pompeii will be arriving this august. This game sounds as vicious and viscous as a dribble of lava. 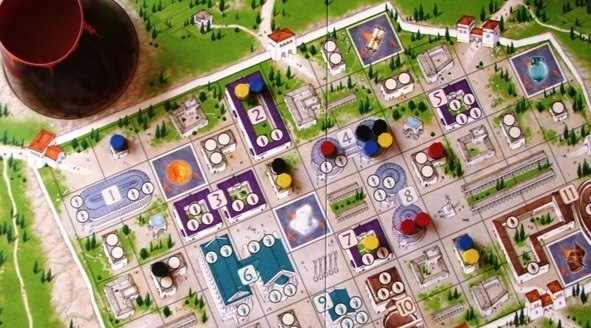 In the first phase of the game, players place the members of their happy, happy Roman families around the city, jostling for space around the exits and occasionally bumping one another off. In the second, the happy, happy volcano ERUPTS, and players take turns to place lava tiles and shuttle their decreasingly happy families out of town before they’re scalded to death. It’s meant to be super strong, and reminds me of Survive!, a.k.a. Escape from Atlantis, but with less toy sharks and more toy volcanoes. Sounds like an even trade. Which brings us to my favourite news this month. I read about Kolejka (Polish for “Queue”) when it came out two years ago, and I’m thrilled to be reminded of it by a Wall Street Journal article published this week. A game of going shopping in 1980s Poland (which was under an ailing Communist government), Kolejka has you dispatching your family around town to buy such mundane items as “a pair of shoes”. Hell, I should just post the description. *The players line up their pawns in front of the shops without knowing which shop will have a delivery. Tension mounts as the product delivery cards are uncovered and it turns out that there will be enough product cards only for the lucky few standing closest to the door of a store. Since everyone wants to be first, the queue starts to push up against the door. On the product cards are photos of sixty original objects from the Communist era. The merchandise includes Relaks shoes, Przemysławka eau de cologne, and Popularna tea, as well as other commodities that were once in scarce supply. The neighborhood also has an outdoor market but the prices there are steep – unless, of course, you manage to strike a deal with the market trader. In this realistic game you really have to be savvy to get the goods. Board games, ladies and gentlemen. 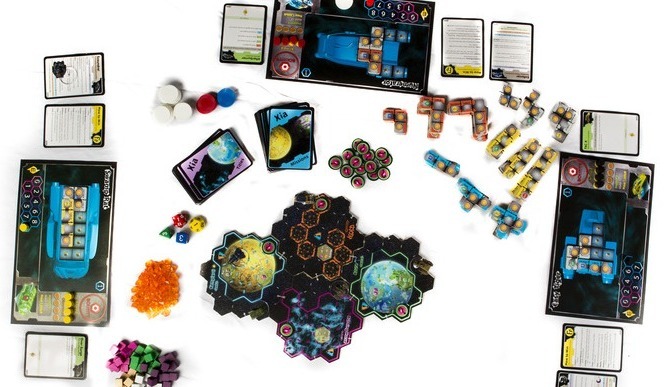 Speaking of news that imbues the word “board games” with pride, SU&SD reader Andrew Loch points us towards a development on the Kickstarter for the excellent-looking Xia: Legends of a Drift System (which we posted about two weeks ago). Having crushed their funding target, Far Off Games has since announced various plans to help the community develop Xia even further. Players will be able to design, upload and download schematics for 3D printed ships. They want to make it easy to hook up budding artists and game designers on their website, so they can collaborate to design professional components. Blank templates will be released for Sector tiles, Mission cards, Outfits, and Titles, so the community can make them easily. …while anyone backing $120 or more will get an actual “dev kit”, featuring additional cardstock tiles that just need stickers. 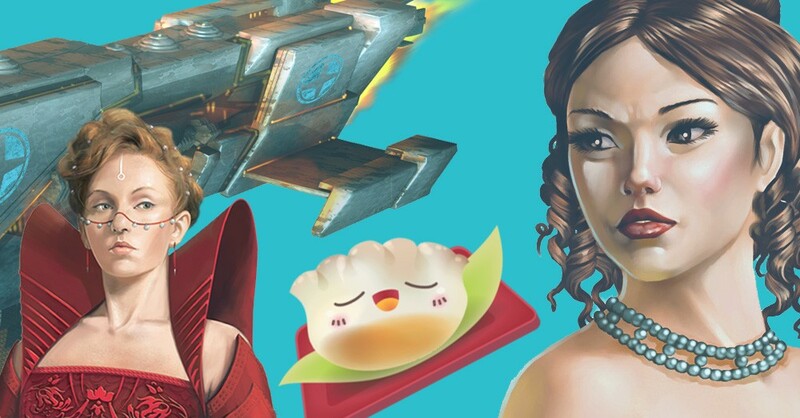 The idea is that you visit the Xia website, download something free or buy it from a Xia modder, and then you’re only a quick trip to a (recommended) online producer of vinyl stickers or cards to expand your game. I’m not sure how likely I’d be to do this, personally, because I am uniquely lazy. But that’s missing the point. 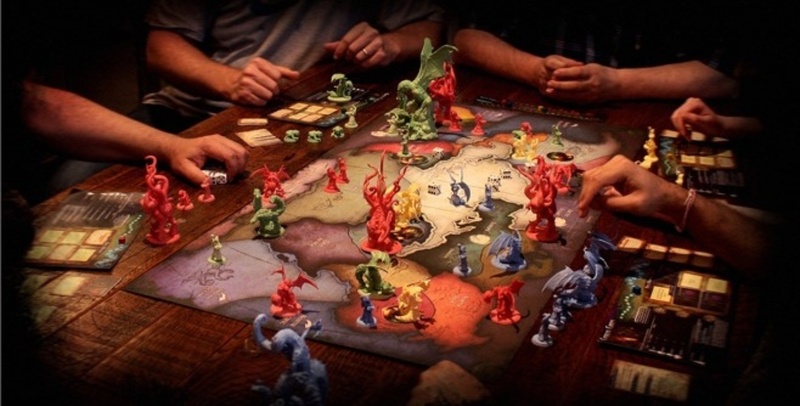 Someone’s working to bring board games into the internet age! That’s AMAZING! My friend works in an office that has a couple of very, very expensive 3D printers. Yesterday he told me the story of how one of them had a very small part come ever-so-slightly loose, causing the machine to inch forward as it printed. Within minutes it crawled to the edge of the table, and threw itself off to shatter on the ground. I like that story. It seems very human, somehow. But yes, this expansion is more my speed. Fantasy Flight has announced Cosmic Storm, the fourth expansion for SU&SD favourite Cosmic Encounter, which we reviewed waaaaay back in our 2011 Christmas Special. 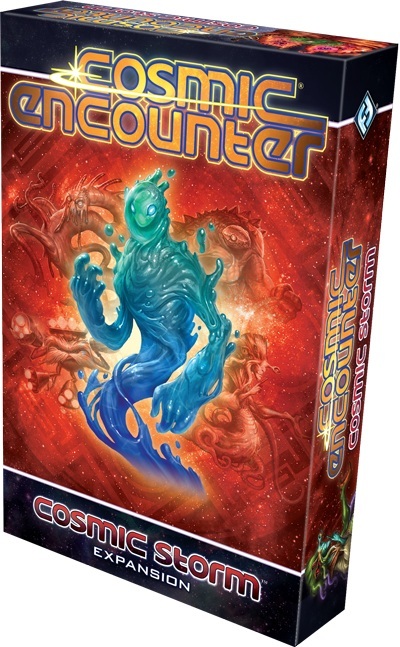 I haven’t even played with anything the third expansion yet, but I’ll be buying this one the second it hits the shelves anyway. You know, in case I die or something. It’s got aliens in! The bold house of FF has ALSO announced The Trollfens, which is the third expansion for Descent Second Edition (review here), and, coincidentally, also the name of Paul’s old band. 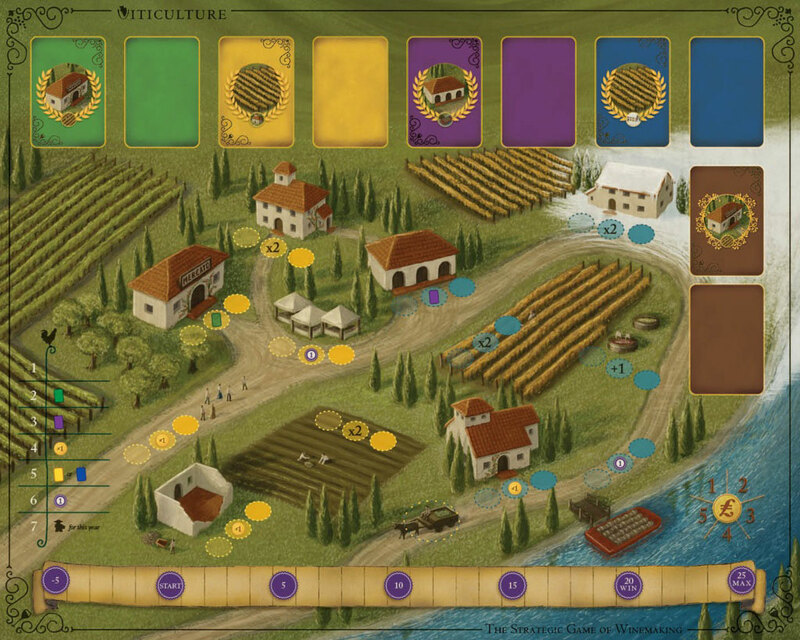 Viticulture: The Strategic Game of Winemaking is making its way to Kickstarter backers and shops this week, and the designers were kind enough to send us a copy (which is sitting nobly in the corner of my room as I type these very words). 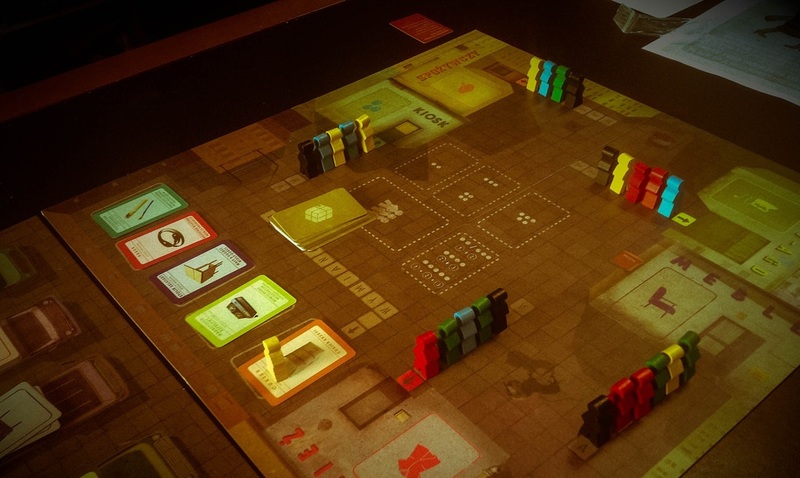 This week designer Jamey Stegmaier published a design diary, which I always like linking here for their photographs of the game as a squalid prototype. The board gaming equivalent of baby pictures, I guess.